Located in the Arts District of Los Angeles, Popatu is the exclusive brand for little girls' apparel and accessories. Our designers enjoy designing products that make little girls happy and special. As such we derive our inspiration from little girls' energy and movement. The results are Popatu dresses that inspires little girls to move and play while showing elegance and sophistication. 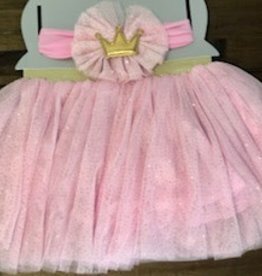 No matter what the occasion Popatu carries it: flower girl dresses, girls dresses for special occasions, tutu dresses, tutu bodysuits, dancewear for girls, leotards for girls. 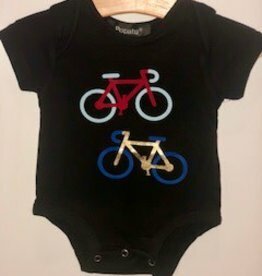 100% cotton black onesie that snaps at the bottom with multi colored vinyl graphic of bikes. A Burgunday tutu skirt with gold stars at waistband. Wonderful for any showstopper fashionista. Great for twirl and play.